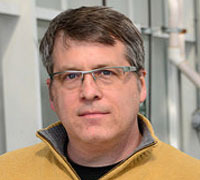 Dr. Peck, a professor in the Department of Biochemistry, was elected in the Section on Agriculture, Food, and Renewable Resources for "distinguished contributions to the field of plant-microbe interactions and disease resistance in plants with major contributions to proteomics technology". Dr. Peck's election bring the number of AAAS Fellows in the IPG to 26. The American Association for the Advancement of Science is an international non-profit organization dedicated to advancing science around the world. Election as a Fellow of AAAS is bestowed upon members by their peers in recognition of their efforts to advance science or its applications. New Fellows will be presented with an official certificate and a gold and blue (representing science and engineering, respectively) rosette pin on Saturday, February 16, 2019 at the AAAS Annual Meeting in Washington, D.C. A complete list of all 2018 fellows can be found on the AAAS website.